There’s no doubt that every child enjoys smashing and destroying things. Adults are not allowed to do such things, but desire to crash stuff doesn’t fade away throughout life. It is amazing how certain things that we do or see can awake the 10-year old child that lives in all of us, who loves to see things getting pulverized. General Electric made a campaign that will make people feel like a child again, excited to see the complete destruction of objects that we use almost everyday. The campaign is entitled #SpringBreakIt and couldn’t be better designed – destroying things and not in vain, but in the name of science. 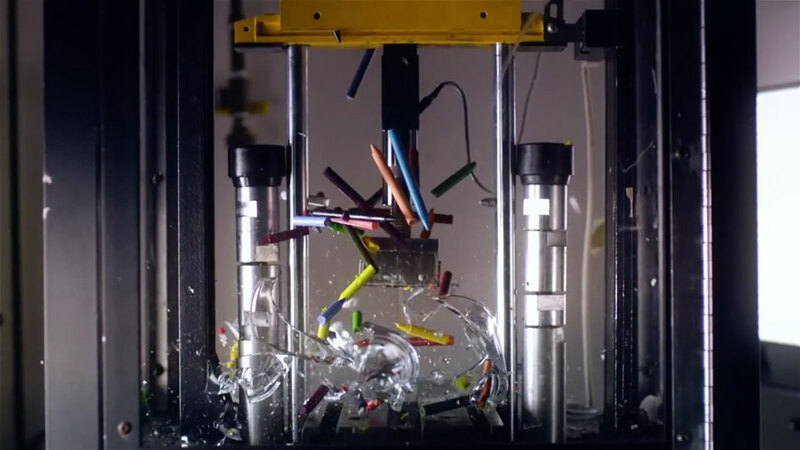 The slow-motion videos posted on the web show the results of laboratory testing of GE’s advanced materials and also have scientific background. This research is important because, as they explain, “when [they] know how materials melt, shatter and bend, [they] can make machines that don’t.” #SpringBreakIt encompasses several social media platforms, including Twitter, Tumblr, YouTube and others. Online visitors of GE’s Tumblr page can see how regular things look like when being smashed, crushed and blasted. There were three different tests. The Drop test, named “Smash it,” used 5,000 pounds of force on objects and measured the energy required to make a material crack, bend or break. Based on that data, they were able to make their next-generation “Super Materials.” The Metal Forging test or “Crush it,” focused on how properties of materials change under 100,000 pounds of pressure and extreme heat in order to make materials much stronger. The Erosion test, or “Blast it,” is made to see how materials adapt to extreme situations.